When you have a WordPress site, you know it is really important to get good rankings by search engines. Google and other search engines use their own algorithms to determine how to rank the search results for every keyword or phrase. As a result, it is very important to follow the expert guidance on the matter to ensure good traffic on your site. There are multiple aspects to make sure your site is ranked well by search engines. In the current digital landscape, it makes more sense to be search engine friendly in the basic essentials than looking for creative ways. This article intends to discuss some of the best WordPress plugins for SEO to boost search rankings of your site. You can also get acquainted with some of the factors of your website that will help with your SEO strategies. 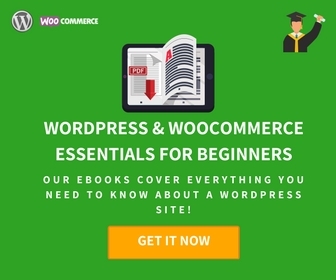 There are quite a few good plugins in the WordPress WooCommerce community that will help you with your SEO strategy. Let’s look into some of the most popular ones in more detail. This is one of the most popular SEO plugins available in the WordPress community. It enables you to get more visitors from search engines like Google and Bing. It also helps in finding more visitors through social media. As it helps to improve the user engagement on your site, the traffic will be better. The plugin helps to optimize up to five keywords for each page. In addition, there is a readability indicator, which helps you understand how easy the content is to read. Regular updates of the plugin make sure your site is always keeping up with the algorithms of Google. The premium version of the plugin also offers suggestions for internal links. In addition, it will show you a set of popularly used words on the page, so that you can be sure about the keyword relevance. Furthermore, you get previews of your pages to resemble how it would look like on Google, Facebook or Twitter. Moreover, the redirect manager helps you to manage permanent redirects quite easily. The price of the premium version starts at $89 for a single site license. There is also a free version of the plugin, which does a decent job. 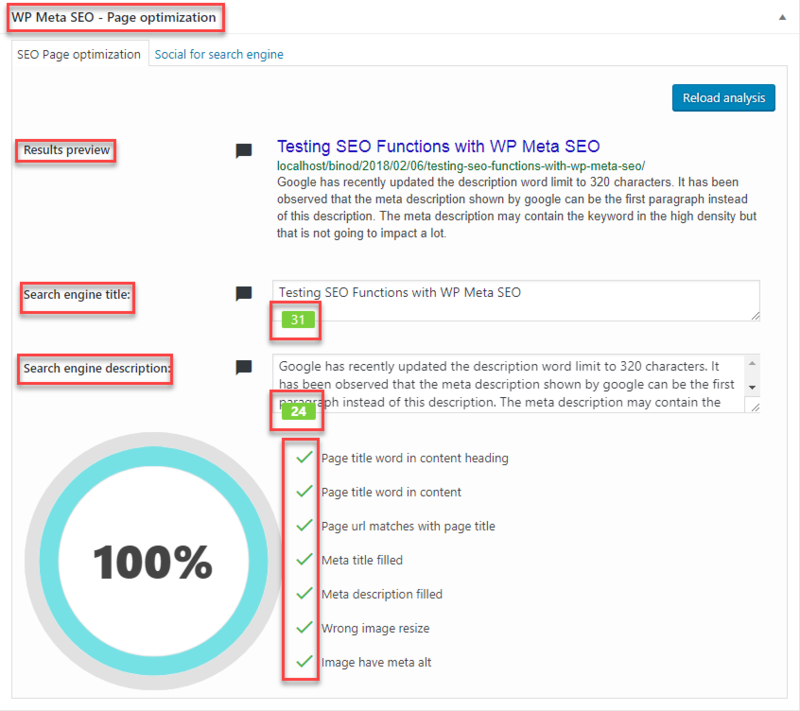 You can find the free Yoast SEO plugin here. When you are managing a WooCommerce store, you need to ensure there is perfect integration between WooCommerce and the Yoast SEO plugin. This plugin helps you achieve a smooth integration of Yoast SEO with your WooCommerce store. It also helps in improving the sharing on Pinterest, by improving OpenGraph enhancements. Moreover, you can use Yoast breadcrumbs instead of the default WooCommerce ones. Basically, with the help of this plugin, you will be able to promote your products in a more efficient manner. Prices start from $49 for a single site. Another great addition form the Yoast family, this one helps you sell in a more efficient manner locally. The plugin helps you enhance your contact pages with Google maps, your business timings, store locator, etc. You can allow your customers to pick up products directly from your store. Your store will be highlighted in the local Google searches so that local customers would find your store more easily. Maintaining accurate contact information will really help you enhance the local presence of your business. Moreover, a lot of customers prefer it when they have an option to pick up the product directly from a store. The plugin also helps to provide the status of the order. This way, the customer will have a better idea as to when the product is ready for pickup at your store. A single site license of the plugin is available for purchase at $129. This is another popular free option in the WordPress community that will help you optimize your site’s SEO. It provides great features to help beginners as well as advanced users to work with it smoothly. The plugin offers support to submit an XML sitemap to Google and Bing. It also helps with image sitemap, so you don’t have to worry about the SEO aspects of the images you use on your site as well. This plugin offers advanced features to optimize the search engine visibility of your WordPress site. Moreover, the plugin supports Google Analytics and Accelerated Mobile Pages (AMP). Advanced Canonical URLs will help you make sure content duplication won’t affect your site. The plugin also takes care of any changes on your site, as it notifies search engines promptly. For better integration of this plugin with your WooCommerce store, there is another plugin. This one, WooCommerce pack of All in One SEO, too is free and you can download it from WordPress plugin repository. Basically, it’s an add-on for the All in One SEO plugin. It helps to edit the meta details from within the WooCommerce admin. 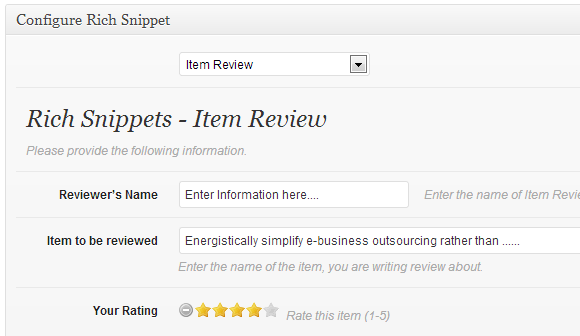 With the help of it, you can edit the title, description, keywords, etc. Rank Math is growing in popularity among major WordPress plugins for SEO. That is because of the host of advanced features as well as its automation features. It will be a comprehensive option to handle the SEO aspects of your WordPress site. You can use it on a variety of websites including business sites, blogs or eCommerce stores. Rank Math offers comprehensive options to set up SEO on your site. One of the convenient features of the plugin is that it is quite easy to configure. The set up wizard will configure it perfectly on your website, and you will have one less thing to worry about. It will set up your site with the optimal settings, which you can change at will. The plugin offers great insights to help you understand your site’s keyword rankings as well as provide suggestions to ensure maximum traffic. It supports 14 different types of rich snippets, and gives you more possibilities to optimize your content. Moreover, you will be able to optimize your WordPress posts for up to 5 focus keywords at a time. It also helps to integrate Google Search Console to your WordPress site. This will help you view important insights regarding your content right from your WordPress admin. Rank Math does an SEO audit of your site, as well as provide content suggestions to improve your site’s ranking. Overall, it is a great option to automate your SEO initiatives. This is another popular option among WordPress plugins for SEO. It offers all the basic requirements to optimize your WordPress site for search engines such as adding appropriate, titles, meta description, etc. It will help you improve your Google Analytics tracking with cross-domain tracking, custom dimensions, etc. 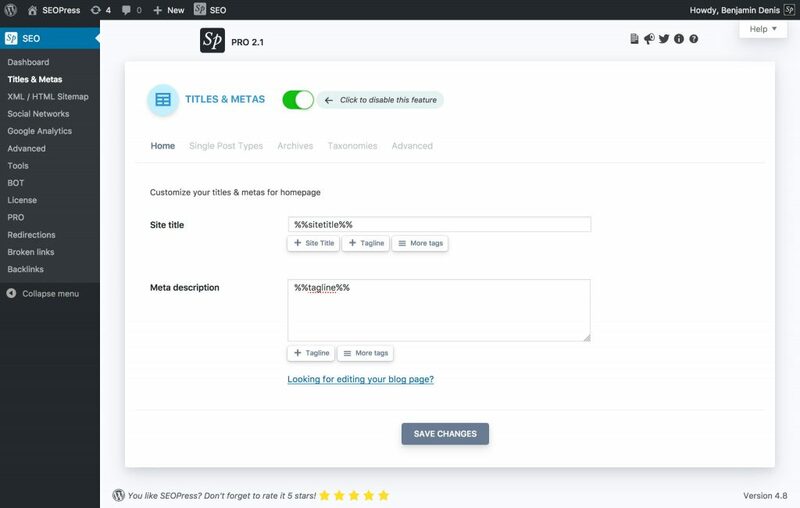 You will find a full set of features to optimize your website content in SEOPress. The plugin will also help you improve your traffic by incorporating options to link your social media accounts to your site. It will also help you build custom HTML and XML sitemaps, optimized breadcrumbs, etc. You will be able to add schemas as well Google structured data types using this plugin. SEOPress has a lot of other features including easy 301 redirects, import / export settings between sites, etc. 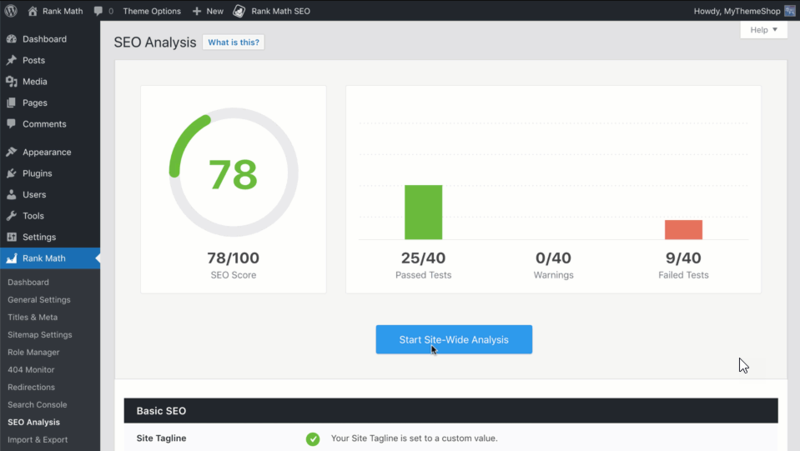 You can check it out, if you are looking for one of the best WordPress plugins for SEO. A bunch of advanced features awaits you when you set up Squirrly SEO on your WordPress site. It is a freemium service, which is free for small sites. However, if you are publishing a lot of content on your site, you might have to checkout the premium version for added features. Squirrly offers great assistance to website owners to ensure excellent SEO consistently. This plugin will ensure that your website will have the best SEO for your site, be it a blog, business website or eCommerce store. It has a lot of features that will assist your site to be more presentable to users as well as search engines. It will even point out specific keywords with low competition, so that you could get more organic traffic on your site. You will even find coaching modules to help you create better SEO strategies for your site. 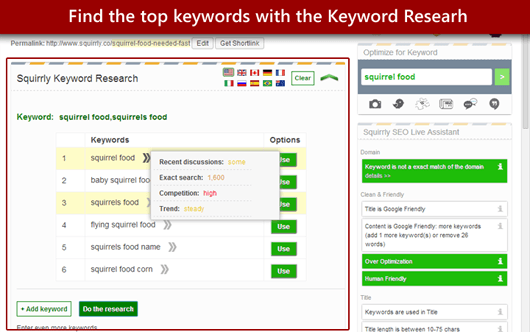 Squirrly offers assistance in keyword research, on-page optimization, as well as provides a weekly SEO audit to keep your site in the most optimized way. Moreover, they provide timely updates and feature additions to cope with the ever changing approaches of search engines. This one is an add-on that enhances the functionalities of Yoast SEO plugin that we discussed above. 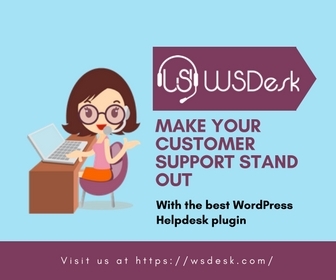 It is seamlessly compatible with WooCommerce, Yoast plugin and WPML. In terms of functionality, it helps you display store information on the homepage through a micro layout. You will be able to display price, stock and currency details on the product page using SEO friendly protocols. Moreover, it helps you display brand information and helps to generate alt text to all product images. 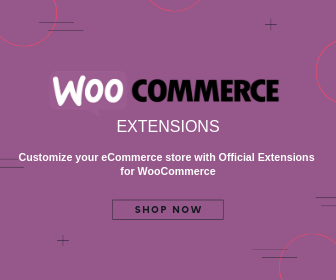 This WooCommerce SEO plugin helps to make adjustments in WooCommerce to make your store more SEO friendly. Primarily, it helps to enhance your URLs with descriptive options other than the default settings. Another interesting feature of this plugin is that it helps you create a meta description automatically. In fact, this will save quite a bit of time and effort while generating content on your site. And, it is quite flexible if you want to create a custom title and meta description for your store. 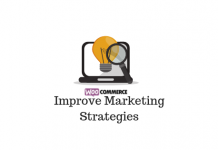 It also significantly improves the default breadcrumbs settings of WooCommerce. That means, your customers will be able to navigate your site more effectively. Automatically adding meta descriptions can be quite advantageous when it comes to maintaining a lot of pages on your WooCommerce store. The regular license of the plugin is available for purchase at $30. In the general section title and meta description can be customized. Next is the social tab that helps you customize posts for social media. In the visibility section, you will find the custom URL. The plugin allows you to have robot.txt enabled for each post. You can index, add a nofollow tag to the post and add a noarchieve tag just by checking the boxes in the visibility section. You can also remove the post from local searches and remove it from all achieve listings. And the last but not the least you can add a custom 301 Redirect URL for the page in case you have one for the particular post. Title and Meta Description and the Content should have the “Page Title Word”. URL should be same as the Title. Put meta alt to the Images. The plugin resizes the images and checks their meta alt. Don’t publish until you reach 100% as these are the points that you need to have in the content. This plugin deals with an important aspect of your website that could impact your site’s SEO – broken links. The plugin continuously monitors and warns you about broken links on your site. It will detect links that are not working, or missing images or redirects, and notifies you on the dashboard or via email. Optionally, you can also set up broken links to display differently on articles. Or, you can choose to prevent search engines from following broken links. This plugin will fix broken links and images on your site. The plugin also helps you to edit links directly rather than going to each post. You can filter links by anchor text, or url. You can simply change the url of a link and it will be updated on all locations where the link is present. This plugin could be a great help for your SEO strategies as broken links and 404 errors could be a negative factor for your site’s rankings. Rich snippets are an important factor for good search engine rankings. They provide search engines with accurate information to be displayed on search engine results pages. For a WordPress site, there are several aspects that can be represented via rich snippets. These include reviews, events, people, videos, etc. By adding a schema markup to your web pages, you will be able to present rich snippets to search engines. And, this plugin will help you implement schema markups efficiently on your WordPress site. This plugin helps you provide rich snippets to search engines, which will be a boost to your SEO efforts. In addition to these WordPress plugins for SEO, you can also use a range of advanced tools that will give you critical insights regarding your SEO strategies. These tools provide you with help in keyword research, as well as provide key insights into yours and your competitors’ backlink profile. Let’s take a quick look at these tools as well. Google Keyword planner helps you find the right keywords for your business. It enables you to choose the right keywords for Google Ads so that your ads are displayed to the right users. You can simply search with words or phrases connected to your products and keyword planner will provide you all the right keywords that you should be focusing on. It also provides insights on search activity around a keyword over a period of time. These insights could help you create a more informed structuring of your advertising budget. Your advertising campaigns will be more efficient and cost effective if you are regularly using the keyword planner tool. Google keyword planner helps you plan your advertising budget more effectively by selecting the most useful keywords. Website performance is a key factor that could influence your search rankings. A very popular tool that you could use to monitor your website performance real time is Pingdom. It helps you check if your site available from different parts of the world. In addition, you will get a lot of actionable insights to enhance the performance of your website based on different user preferences. It also ensures that your site’s workflow in user interactions like signup or checkout is working smoothly all the time. Pingdom helps you monitor your website real time to identify issues in performance and user interactions. In addition, it will alert you on any performance flaws on your site, for which you can designate a specific person on your team. Pingdom also helps you analyze the root cause of any performance issue on your site, and helps you avoid similar problems on your site. It is really a handy tool, if you wish to ensure the best user experience on your site all the time. Ahrefs is a great tool that can provide you a lot of insights to improve your search engine ranking. With this popular tool, you will be able to analyze your competitors and understand why they rank high in search engine rankings. You will be able to see the exact keywords which your competitors are ranking for organic searches. It even provides traffic information for each of these keywords. 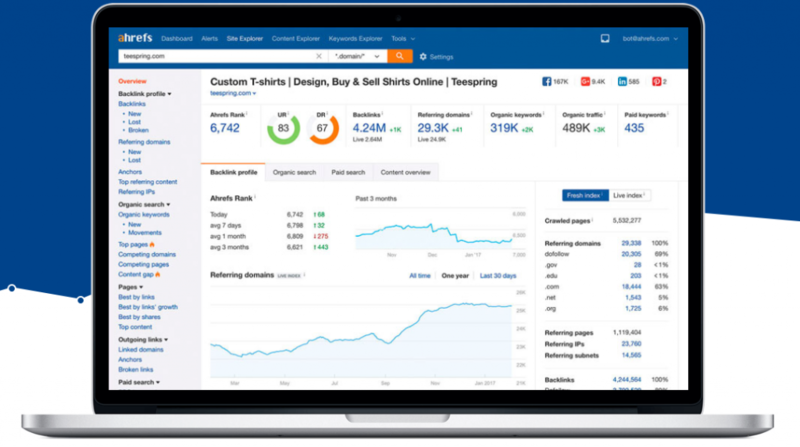 On Ahrefs, you will find several different tools such as Site Explorer, Content Explorer, Keyword Explorer, Rank Tracker, etc., for specific SEO needs. Ahrefs is a great tools that will provide you great insights regarding competitors as well as possibilities to boost search engine rankings. Once you are a customer of Ahrefs, you can find 24/5 customer support that will assist with any of your queries. They also have an exclusive Facebook group for customers, from where you can get great insights for SEO. You will also find a lot of useful video tutorials and articles to help you use the tool more effectively. An important feature of Ahrefs is that they keep on updating their tools according to customer inputs and changing search engine dynamics. Moz is another popular SEO tool used by professionals across the world. They have a range of tools that will help you execute your SEO strategies perfectly. It will help you find the most relevant keywords for your business from one of the largest keyword resources available at the moment. It also offers extensive help in your link building strategies as it analyzes your link profile as well as your competitor’s and provide you deep insights. Moz also offers a tool calle MozBar, which provides on-page search metrics of any web page that you specify. Moz is a great tool for keyword research and SEO that you can try out. Moz is a popular tool preferred by a lot of professionals to ensure the best SEO for their websites. This is a tool that will help you track your website’s search rankings consistently. Accuranker updates keywords every day, and you can refresh keywords every two hours, if required. It will provide in-depth analysis with a wide range of metrics, which you can filter by diverse ways as per your requirement. You can generate reports at will using this popular tool. It helps you generate customized reports, and offers a drag and drop report builder. You can also schedule creation of reports while using this tool. Accuranker also offers dependable customer support to help you use the tool more effectively. You will be able to track your site’s ranking consistently using Accutracker. SEMrush offers great SEO solutions for enterprises as well as eCommerce stores. With their SEO analysis tool, SEMrush analyzes your site’s health and prioritize which issues need to be addressed first. It also offers an on-page SEO checker that will track how your site is placed with different ranking factors of Google. With Search Console integration, it analyzes all your backlinks, and ensures that your site have a clean backlink profile. Furthermore, SEMrush analyzes your content and provide valuable insights to enhance organic traffic to your site. SEMrush is a comprehensive marketing tool with great features to enhance SEO as well. This is a keyword research tool that you can use to get solid insights for your content creation strategy. KWFinder will help you find keywords with low SEO difficulty. You will be able to find an accurate data of keywords and their difficulty levels in real time using this tool. Furthermore, it will help you find low SEO difficulty keywords that your competitors are missing with the help of Google Suggest integration. This is a great tool to find the most beneficial keywords for your site. It will provide you exact search volume to help you understand the difference between two similar keywords as well. You can even narrow down your searches based on locations as KWFinder offers you search volume data narrowed down to city level. Overall, this is a very efficient tool to help you with your keyword research. Why Do You Need a WordPress Plugin for SEO? Search Engine Optimization (SEO) is a collection of approaches you put in to get your page to the top of search results. You can use WordPress plugins for SEO, but that is not enough. You need to optimize your content, and constantly monitor your site’s performance to ensure a top place in the Search Engine Results Pages (SERP). Hope the above-mentioned WordPress plugins for SEO and the keyword research tools will help boost your search ranking. Leave us a comment to let us know your thoughts.